This is a recipe from Northern Karnataka. 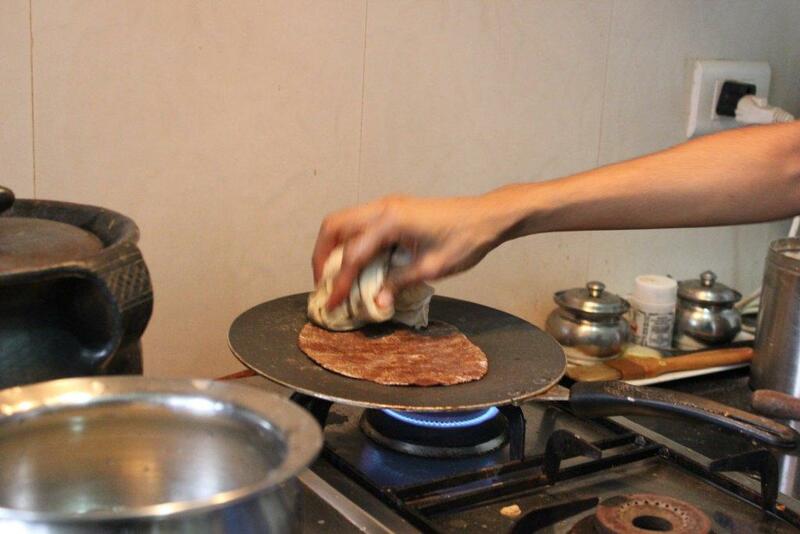 Water is used while making the rotis. 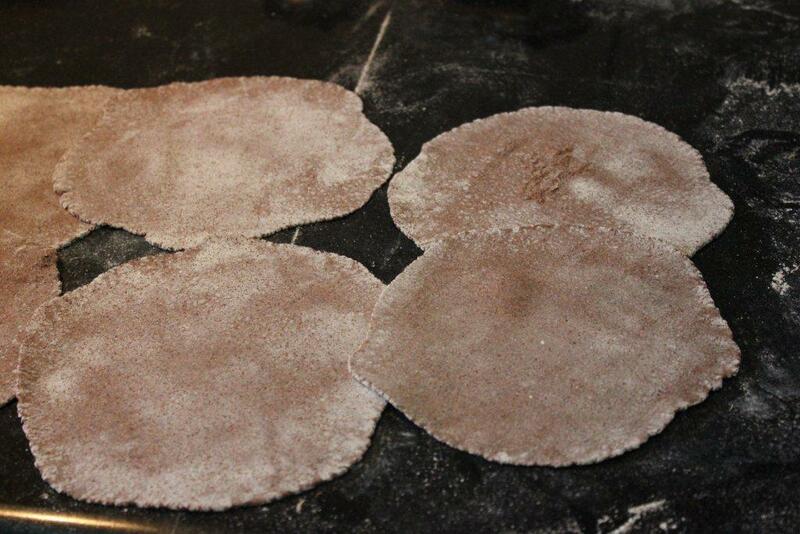 The rotis puff up and the end product is soft rotis. Bring 1 cup of water to boil. 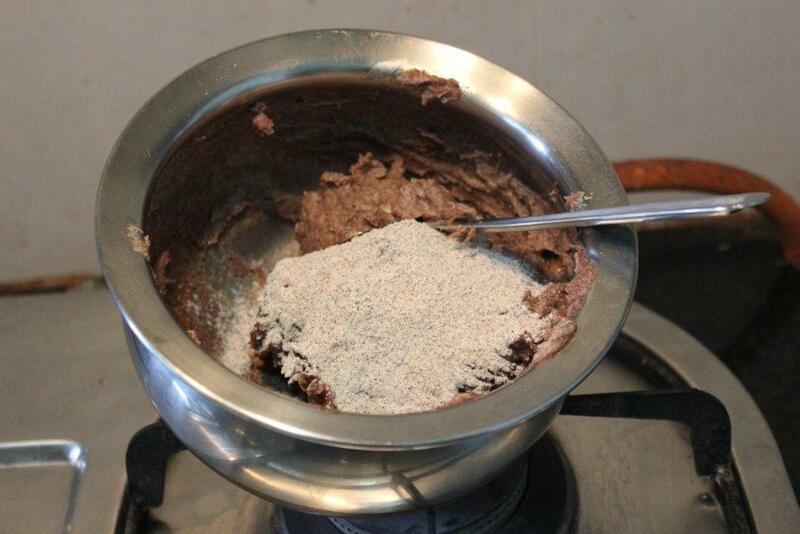 In parallel, mix 1 cup of ragi flour in about 1/2 cup or less water till it blends in and looks like a slightly flowing mix. Pour the mix into the boiling water, stirring continuously. 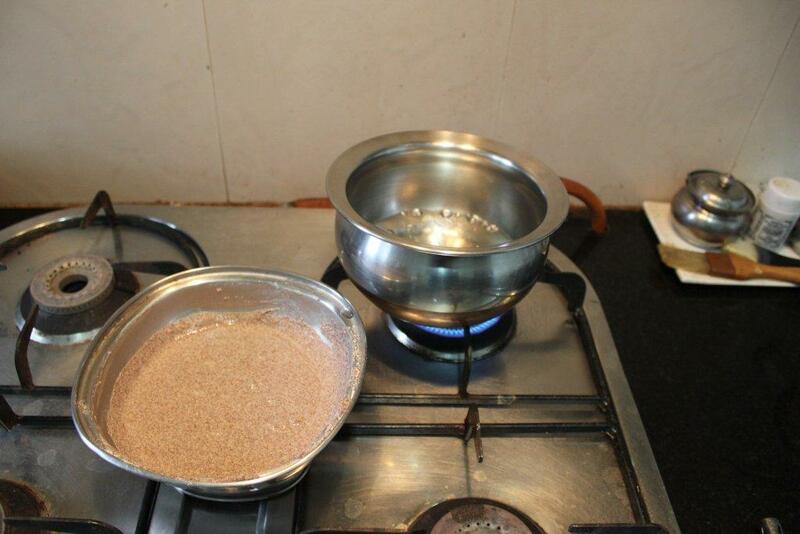 Allow the ragi to cook. 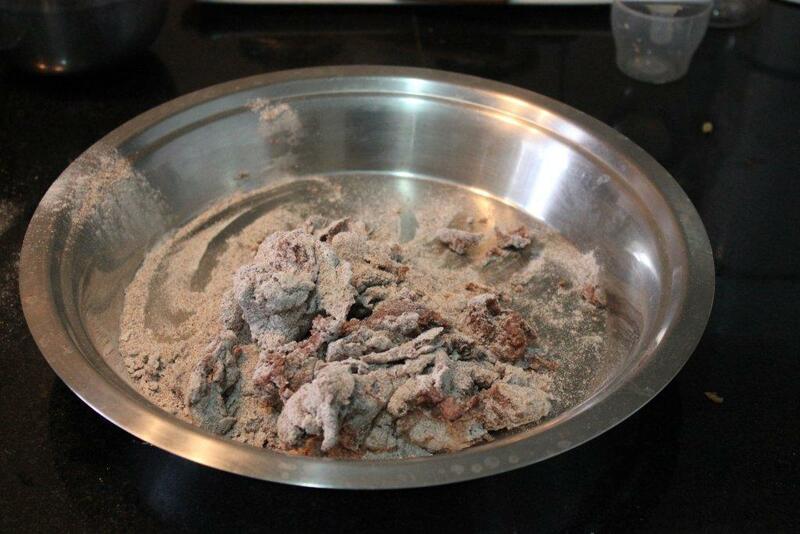 Then pour about a cup of ragi flour on top of the cooked mix and allow it to steam up till the entire mix cools down. 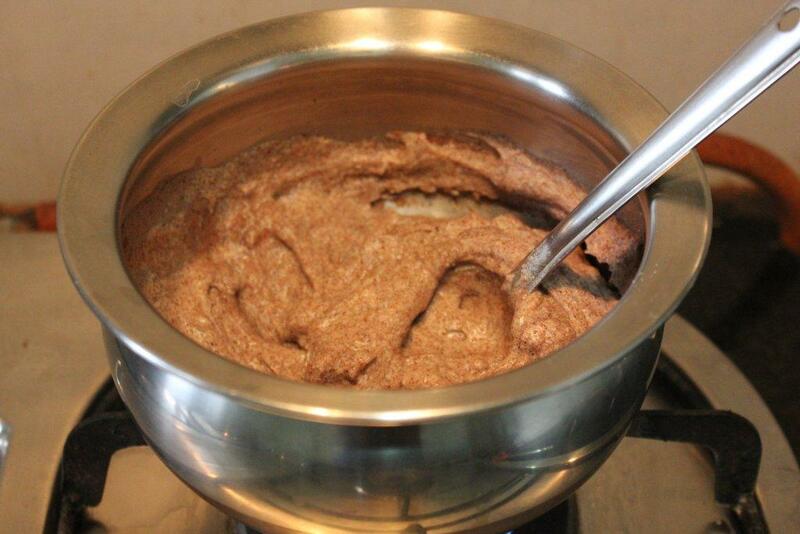 When the cooked ragi has cooled down completely, proceed to knead the dough. You are looking to make a dough of a consistency like whole wheat dough. 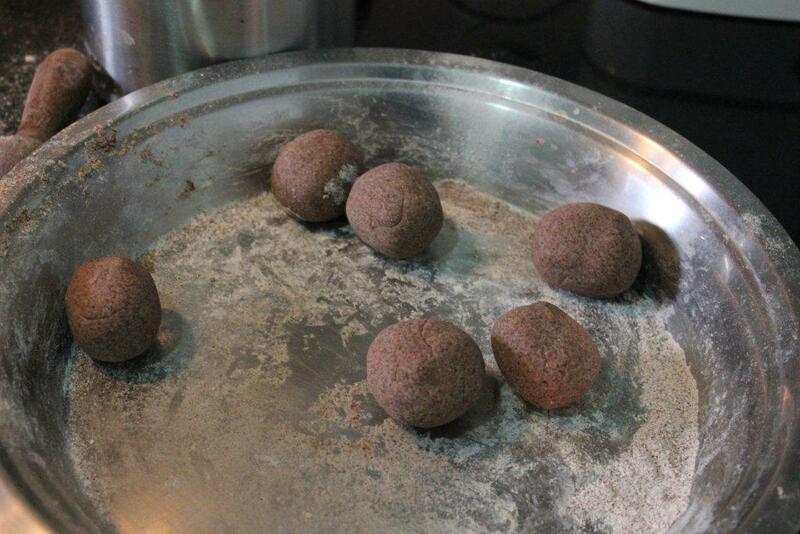 Use ragi flour as needed to get the right consistency. You will be rolling out this dough with a rolling pin. Next make balls of dough and roll out the rotis. The flour will be easier to roll out since a part of it has been cooked and it has a rollable texture. 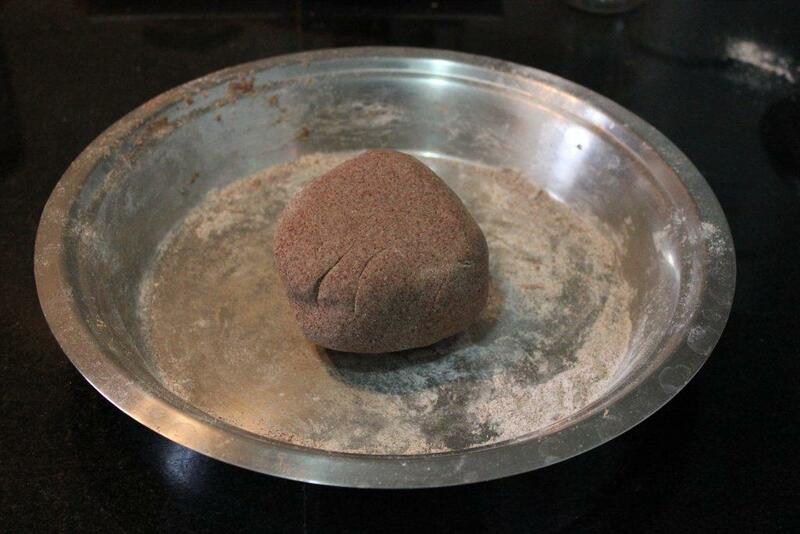 However, you will need to use dry ragi flour liberally to ensure the rotis don’t break while you roll them. Place the roti on the pan and as you sense that the side on the pan is slightly cooked, apply water on the other side using a piece of cloth. This helps in not allowing the roti to dry up. It also helps assimilate all the extra flour used while rolling out the roti. 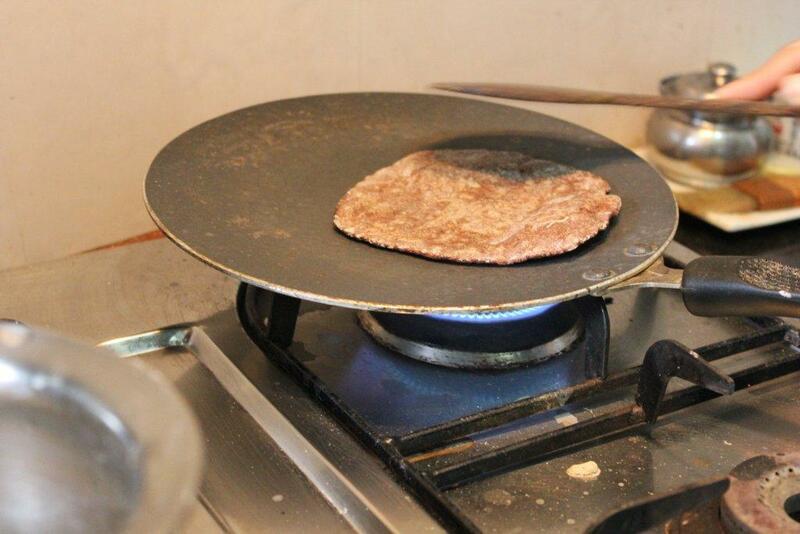 Then flip the roti and water the other side as well. Cook on both sides till the water is gone. 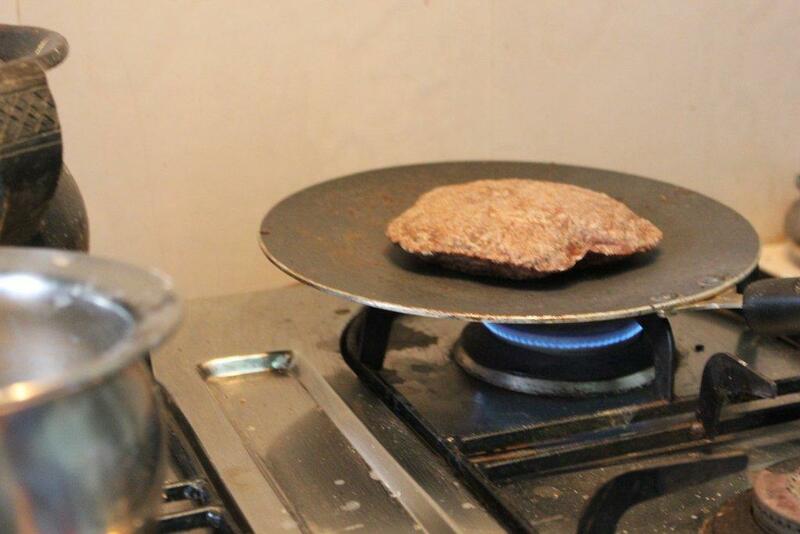 Then start pressing gently with a spatula and your roti will start to puff up. The roti is ready. And it is soft. Serve with a vegetable in gravy or a dal. this looks great thanks. i will definetly do. Very nice recipe.I have sprouted ragi flour. Can I do roti with this? 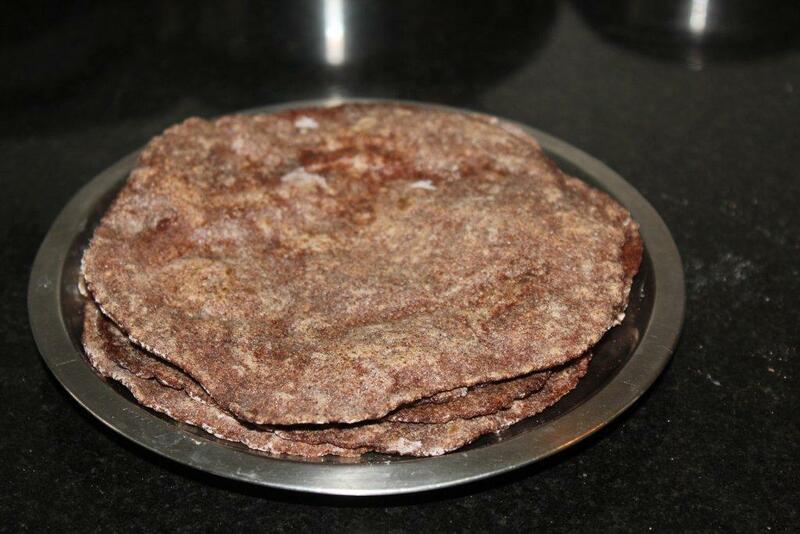 Karnataka people also make very nice jowar roti.But jowar flour is not cooked in hot water but instead kneaded with boiling water. its awesome. . I tried. . Its very easy n healthy. Looks good.. I will surely try this recipe.